Check out Tobi's Get Along Shift Dress Plan your next date with the Get Along Navy Shift Dress. You're going to love this navy sundress, featuring adjustable cami straps, v-neckline, front tie, open back, and back zipper. Wine and dine in this trendy front tie dress and pair it with lace up heels. Plan your next date with the Get Along Navy Shift Dress. 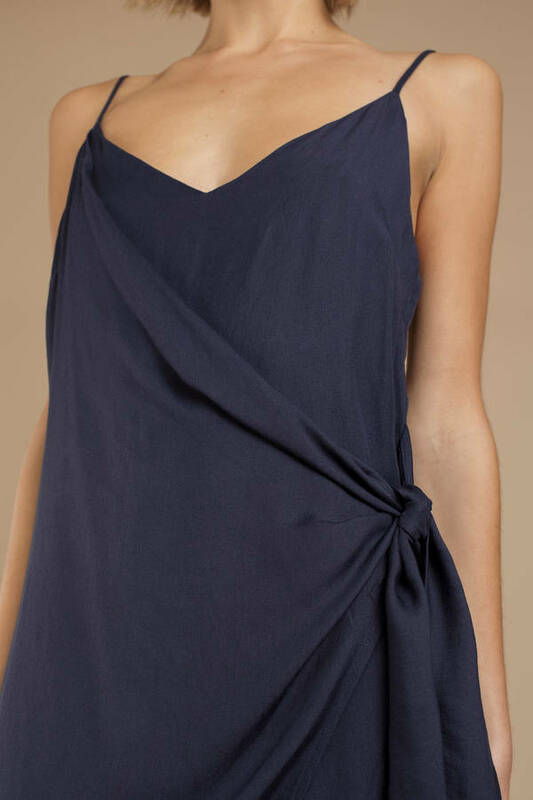 You're going to love this navy sundress, featuring adjustable cami straps, v-neckline, front tie, open back, and back zipper. Wine and dine in this trendy front tie dress and pair it with lace up heels.